Peter Brandy lives in Kununurra and is a musician, singer and songwriter in a style that blends country, folk, rock and gospel. Peter was born in Halls Creek and grew up on cattle stations in the East Kimberley. His songs tell of his experiences in the region and of its characters, in a style that combines his Aboriginal heritage with a classic “Kimberley” feel, punctuated by his melodic guitar breaks. Early influences were amateur musicians with whom he worked. Travelling artists such as Slim Dusty, Buddy Williams, Barry Thornton, Ernie Bridge and Rodney Rivers were also inspirations along with legendary Kimberley guitar man Kevin Gunn. 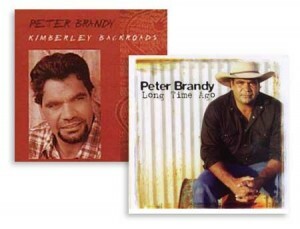 Peter’s debut album Kimberley Backroads established him as one of Australia’s finest Indigenous performers and the title track reached anthem status across Australia’s top end, as well as gaining him a number of awards. He has since toured extensively around the country and performed at numerous festivals, including the Tamworth Country Music Festival and Woodford Folk Festival. One of the headliners at the 2008 Nannup Music Festival, he was nominated a second time for “Best Indigenous Act” at the 2008 WA Music Industry Association’s WAMi awards. 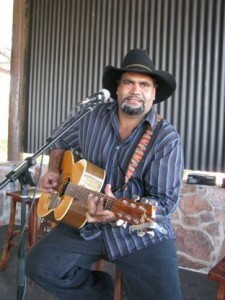 In 2005, Peter cemented his standing as one of the state’s finest storytellers, with his song “Long Time Ago” winning both the ‘World/Folk’ and ‘Indigenous Song of the Year’ categories at the WAM “Song of the Year” awards. The song has become the title track of his second album, Long Time Ago, which will be launched at Kulcha on Friday March 7th. On the album, Peter has used a number of well known West Australian musicians, including the album’s producer and long time collaborator David Hyams (guitar, mandolin and harmonica), Waif’s bassist Ben Franz, Grammy award winning pedal steel player Lucky Oceans and award winning singer-songwriter Lynn Hazelton. Capturing the spirit of the Kimberley where he grew up on cattle stations and experienced traditional life, Peter’s songs reflect the connection he has with his people and country. Presented with typical outback humor, his stories create and understanding and awareness of indigenous people. He warmly uses the medium of contemporary song to connect with people regardless of age or race. Peter is a recipient of numerous music awards, including winner of the West Australia Music Industry’s Song of the Year in two categories for his song “Long Time Ago” which features on his 2006 released album.